As the Alberta provincial election campaign kicks off, Rachel Notley’s New Democrats are in a tough spot. They trail the United Conservatives by a significant margin and the polls suggest the NDP would be booted from office if the election were held today. But the election is still more than three weeks away and there is reason for Notley to believe her fortunes could improve. The trend line is inching in her direction and she’s more popular than her party; UCP Leader Jason Kenney, her chief rival, is less popular than his. Nevertheless, the New Democrats have a serious challenge ahead of them. That trend line has a long way to go before the election looks competitive, let alone one the NDP is in a position to win. The CBC’s Alberta Poll Tracker, an aggregation of all publicly available polling data, puts the United Conservatives ahead with 50 per cent support among decided voters, followed by the New Democrats at 35.3 per cent. The Alberta Party trails at a distance with 7.4 per cent, while the Liberals are polling at 4.8 per cent of the vote. This is not significantly different than where things stood on election night four years ago. The Progressive Conservative and Wildrose parties, which merged to form the UCP in 2017, combined for 52 per cent of the vote in 2015, only two percentage points higher than where the UCP stands today. The NDP, which captured 40.6 per cent of the vote, is down only about five points — still putting it on track for the second best performance in the party’s history. But the lack of a divided right changes the electoral math dramatically. With current levels of support, the Alberta Poll Tracker estimates the UCP would win between 61 and 76 seats — far more than the 44 needed to secure a majority government. The NDP would win between 11 and 25 seats, with the Alberta Party and Liberals in the running for no more than one apiece. A polling error of the same magnitude as the one that occurred in the 2012 election — when Wildrose was given a wide lead in the last polls of the campaign, only for the PCs to hold onto to power — if repeated in Alberta next month, would still only put the UCP and NDP roughly tied. Even that scenario would be unlikely to re-elect the New Democrats due to their concentration of support in Edmonton. That is where Notley’s party still has its greatest strength. The Alberta Poll Tracker puts the NDP at 44.6 per cent in the city, with the UCP a few points back at 40 per cent. That level of support would likely divide Edmonton between the two parties in terms of seats. But in the rest of the province, the UCP holds sway. In Calgary, Kenney’s party is ahead by about 22 points in the Poll Tracker, with 54 per cent support compared to 32 per cent. That puts every seat in range of the UCP, while the New Democrats are in contention to hold just a handful of theirs. Outside of the two cities, the United Conservatives are ahead by about 27 points. With between 28 and 31 seats, the rural areas of the province alone could put the UCP three-quarters of the way to a majority government. However, there are some silver linings for Notley in the numbers. The most important one is that she is a plus for her party while Kenney is a minus. A Leger survey conducted between March 7 and 12 found the two party leaders virtually tied on the question of who Albertans think would make the best premier, with Notley at 33 per cent and Kenney at 32 per cent. Taking into account the undecideds in the Leger poll on both the voting intentions and best premier questions, this suggests that Notley is about four percentage points more popular than the NDP. Kenney is two points less popular than the UCP. The difference was even starker in an Ipsos/Global News poll conducted between Mar. 15 and 17. It found Kenney at 33 per cent on the best premier question and Notley not far behind at 30 per cent, but again this suggests that Notley scores two points higher than the NDP among all voters. Kenney scores nine points worse than the UCP. The hope for the NDP is that Notley is able to pull her party’s support up while Kenney drags the UCP’s down. This is clearly the party’s strategy in the campaign so far, as the NDP leader’s name takes prominence in the party’s branding and her political attacks target Kenney personally. The trend lines are also heading in a positive direction for the NDP, if marginally so. Leger puts the party up two points since last year, while ThinkHQ shows it up eight points since the end of 2017. The inevitability of the UCP? But the margin the NDP has to overcome remains enormous. While Kenney’s personal popularity doesn’t help the United Conservatives, the unpopularity of the NDP government might prove too much of an anchor weighing Notley down. In the Ipsos survey, just 31 per cent of Albertans said the NDP deserved re-election — losing numbers in a two-horse race. 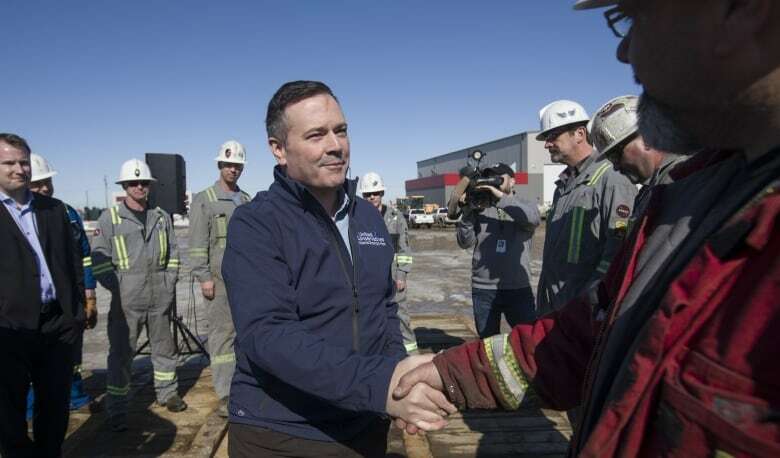 The impact of the latest controversies surrounding Kenney’s successful bid for the UCP leadership have yet to be fully recorded in the polls. They could sap UCP support further. But the 2018 Ontario election campaign, which ended with Doug Ford’s Progressive Conservatives defeating Kathleen Wynne’s Liberals, showed that unpopular opposition leaders hobbled by controversy can still win big when voters want to see the incumbent government ousted. The UCP has led in voting intentions since it was created and not once since coming to power have the New Democrats matched their 2015 election score in the polls. Even that probably wouldn’t be enough to secure a victory when the right is no longer divided. The potential for Notley to turn this into a competitive race exists. But she has a long way to go to cast doubt on the inevitability of a victory by Jason Kenney and the United Conservatives.